March has been a strange month. Feels like a busy month of nothingness! well apart from one of my fav blogging buddies having a birthday celebration and even more excitingly getting engaged! Congratulations Lynne!! I still managed to do some different things. weyhey!! Go me! 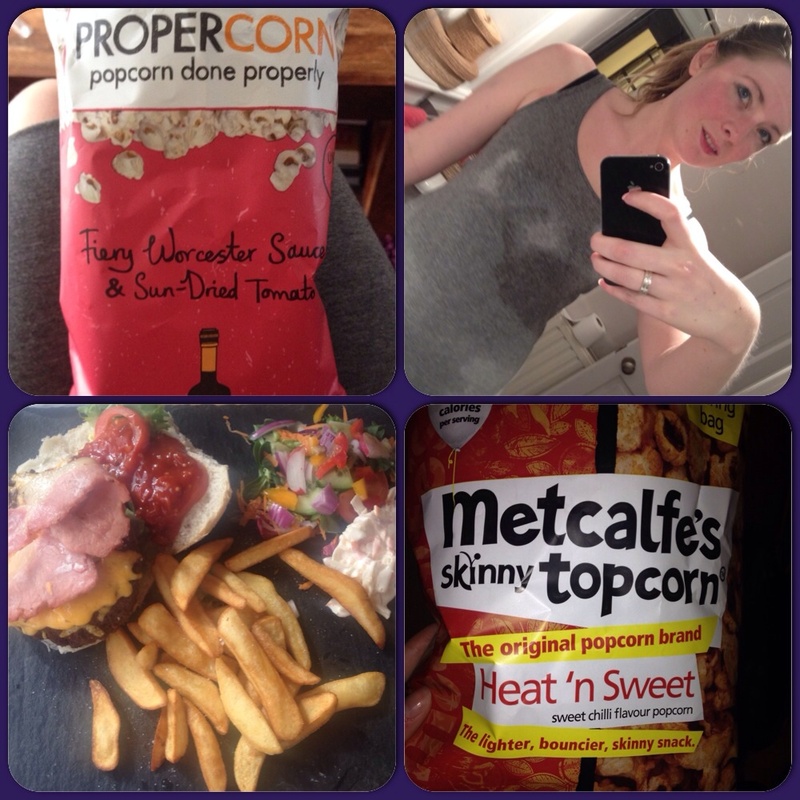 Popcorn, new eats and an exercise that I believe only the devil would full enjoy. I discovered a love for flavoured popcorn after trying Fiery Worcester Sauce and sundried Tomato propercorn. Blew. My. Mind! I then went on to sample some Sour Cream and jalapeno and some sweet chilly. Bring on the new flavours. And, and they are super low in calories! good bye crisps. hello yummy health snacks. Any suggestions on other kinds to try? and Yvonne that they should join me for a relaxing yoga session in a nice warm room “it will be like yoga on holiday” they both responded positively and we were on our way to our first hot yoga session. Looking forward to relaxing and feeling refreshed and zen like when we left. On arriving at the studio we took our shoes off at the door, signed up for the 20 day trial and stepped into the hot, smelly room with 45 other people. As it was our first session we were dressed in jogging bottoms and vest tops and surrounded by people in shorts no bigger than pants and tops smaller than some of my bras. 1.5 hours of pure hell later we left the class ready to pass out and wondering who on earth actually enjoys that form of torture. Yvonne and my mum gave me a look of death and i’m sure 5 minutes passed before we uttered a word to each other. I can possibly repeat the words they threw at me when they were able to talk. Despite the horror I returned to the class another 3 times with my mum. It did get easier and if I drunk enough water during the day I noticed I felt more awake. I decided that being in a roasting hot room with 45 other people all sweating and stretching is just not for me. So that’s my March Do Something Different. Have you been trying anything new lately? any suggestions for exercise classes I should try?